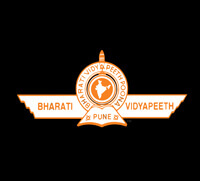 The Bharatiya Vidyapeeth College of Engineering for women was established in 2000 with the collaborative efforts of the noted educationists, scholars and experienced teachers of engineering. The BVCE for women aims at providing technical education to women to empower women and bring about a social transformation. The BVCE for women is recognised by the DTE (Department of Technical Education) Maharashtra. The college is approved by the ‘AICTE’. Library – There is a library in an area of 400 square meters. It has a seating capacity of 200 students. There are national and international books, journals, reference materials and research papers for students. The materials of the library can be accessed online also. Sports – The sports annual day is held every year. An intercollegiate competition is also organised every year. Medical Facility – The medical facility is available for students 24*7. A Yoga and Meditation camps are organised for students. Cells – The college has an Anti- Ragging cell; Anti- Ragging Squad; and Internal Complaint Cell. To upkeep the quality of the administrative functioning, there is an ‘Internal Quality Assurance Committee’. The college offers 240 seats for Undergraduate Courses are 18 seats for Postgraduate Courses. A student should have passed Class 12th or equivalent in PCM subjects from a recognised board. Admissions are done on the basis of candidates score in the JEE Mains Paper 1 exam or CET scores. Students can apply for the courses in BVCE online through its official website. They can get the application form for admission online by paying the requisite application fee. They should fill all columns of the application form correctly and submit it before the last date of the application. Some of the well-known companies coming for campus placement are- Harbinger, Mu-Sigma, General Electrical, Barclays, Siemens, Patni, HDBC, Atos, Quinox, Steria Panel, Bentley Systems, HP drive, IBM, Hitachi Consulting etc. Min. 3. 00 lakhs to Max. 6. 00 lakhs per annum.